The GoodReads Choice Awards have betrayed me. How this book managed to win the “best horror” category is beyond me, in part because it’s a really lackluster short story, but principally because… it’s not really horror. I’m not even sure it’s trying to be horror. It’s mildly unsettling for a few passing moments, but mainly, it’s just weird. And occasionally offensive, albeit I think unintentionally so. Stephen King: I love you. You have written some genuinely good novels over the years. This is not one of them, and I truly think that if anyone without this kind of clout behind their name had submitted this to a publisher, it never would have seen the light of day. Let’s start with my biggest issue with this novella. The crux of the plot is not, as you would assume from the blurb, Scott’s mysterious weight loss. No, it’s that the bland white male protagonist must rescue the local lesbian couple from persecution in small-town USA!!! Yikes. Said lesbian couple absolutely does not want to be rescued by Scott, but nobody really asked them, and what’s really important is Scott’s emotional development and proving that he is Absolutely Not Homophobic. It was also a really cringey experience to read about these women through the protagonist’s eyes, as he felt the need to ogle them at every opportunity. Please, mention her well-toned legs one more time. I don’t think I heard you the first four times. The final nail in the coffin for me was that there was no resolution to the mystery of protagonist’s weight loss. I’ve read and loved a lot of books with ambiguous ending which intentionally leave the reader with questions, so this is not an issue on its own. However, when combined with the thin storytelling, paper cutout characters, and clunky writing, this of all books cannot survive an ending with no satisfying resolution. Stephen King is a talented writer who needs someone who knows how to tell him no. Not every idea deserves to be published. Thank you for reading. 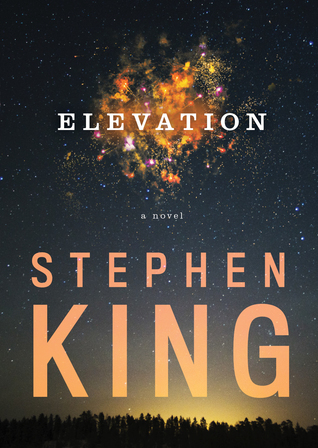 Have you read Elevation? Please share your thoughts in the comments! Jess Moulsen, our protagonist, wakes up in the hospital unable to remember what has landed her there. A niggling sense of dread turns to terror when she’s told she’s done something awful: in a drugged haze, she started a fire in her apartment complex which ended up killing someone. As soon as she’s recovered enough from her injuries, she will need to stand trial for murder. Fellside is imbued with tension from page one. While Jess is the clear focus throughout Fellside, she is not the only point-of-view character. Fellside occasionally shifts to the thoughts of various workers in the prison from which the novel takes its name. I’ve heard a lot of people state they don’t like multiple POV stories in general; I am not one of those people. Exploring different perspectives tends to be one of my favorite parts of a novel. That said, I didn’t find the other perspectives in this novel nearly as compelling as Jess. In the long run, these shifts proved to be necessary the show the full scope of the story which Carey wanted to tell, but I found myself suffering through them. GoodReads users have largely categorized this book as horror, but the label doesn’t feel like a particularly good fit. There are supernatural elements to the story, in the form of a ghost who visits Jess, and there are spooky moments, but the overall atmosphere doesn’t scream “horror” to me. Fellside is somewhat of a mystery and a story about moral redemption; Jess feels a huge sense of moral culpability for an act which she cannot remember. How does one atone for a misdeed which exists as a blank spot in their memory? The appearance of the ghost allows Jess to attempt to work through this question as she questions the truth of everything she’s been told by the authorities. There was a lot that I loved about this novel, but it felt hampered by uninteresting side plots and poor pacing at times. All in all, I felt this was worth reading, but I was a bit frustrated by how close this came to being great instead of just good. Thank you for reading! 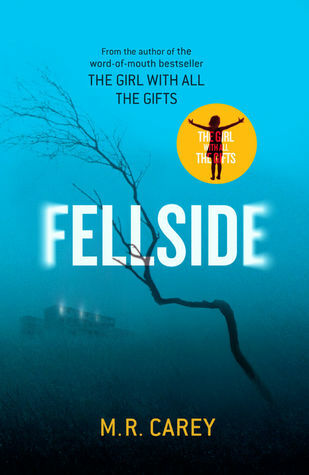 Have you read Fellside? Please share your thoughts in the comments! What’s a book that you’ve enjoyed which has supernatural elements set in the real world? The Grownup is a short story which features what seems to be the archetypal Gillian Flynn protagonist: a dark, gritty woman with somewhat of a chip on her shoulder and an unapologetic attitude. She is pragmatic and has grown up doing whatever needed to be done for survival; as a child, that meant begging for money with her mother, and now it means giving handjobs to lonely businessmen or telling fortunes to gullible customers. Honesty is for people who can be sure where they’ll be getting their next meal. She doesn’t have the luxury. The story was fun and creepy. Flynn writes full-length novels so well, and I had wondered how her skills would transfer to a short story, as she seems to be a master at crafting slow-burning stories. The pacing of The Grownup was quick and engaging; I practically got whiplash trying to keep up with the plot twists. Flynn seems to have a penchant for leaving the reader hanging in a moment of tension. While this worked really well in Gone Girl, it left The Grownup feeling somewhat lacking, perhaps due to the shorter length of the story. (If you’re only going to give me 64 pages to enjoy, at least give me a resolution at the end of them.) The ambiguous ending felt frustrating rather than tantalizing. I loved the story, but I need some closure here, Gillian Flynn. Thank you for reading! Have you read any good short stories lately? Share in the comments!